A gastric band operation is a type of weight loss surgery. The capacity of the stomach is reduced using an adjustable band so that only small meal can be eaten. A gastric band operation can help you to lose your overweight. It works by reducing the capacity of your stomach, which means, that you eat less because you feel full much sooner. – you have a BMI between 35 and 40 and you also have a medial condition, such as diabetes or high blood pressure that might improve if you lose weight. A gastric band can be removed if needed. However , removing the band may cause you to gain weight. 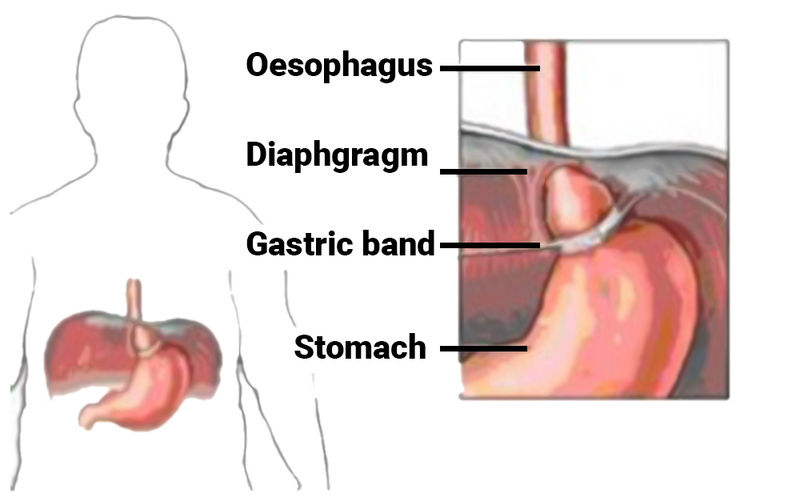 A gastric band operation is usually done under general anaesthesia. This means you will be asleep during the operation. You will usually have to stay overnight in hospidal after your operation. A gastric band operation usually takes about an hour. A gastric band is usually fitted using laparoscopic surgery. During laparoscopic surgery a number of small incisions are made in your abdomen, rather than one large cut. You will only be able to eat small amounts at each meal. At the beginning you need to stick with liquids and then move onto pureed food. You may also be asked about to take vitamin supplements. It usually takes about two weeks to make a full recovery from a gastric band operation, but this varies between individuals. The possible complications of any operation include an unexpected reaction to the anaesthetic, excessive bleeding or developing a blood clot., usually in a vein in the leg (DVT).